Ours is not just any cemetery. With our years of experience, and highly professional, friendly and compassionate staff, Restlawn Memory Gardens is the first choice for many area families each year. 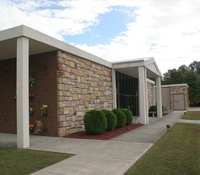 Restlawn Memory Gardens and Chapel Mausoleums has long been considered one of the state's most beautiful resting places. Its picturesque grounds have provided generations of families with a quiet sense of comfort and peace of mind. Restlawn's rolling hills gives way to green lawns that offer affordable memorialization options of everlasting beauty and charm.